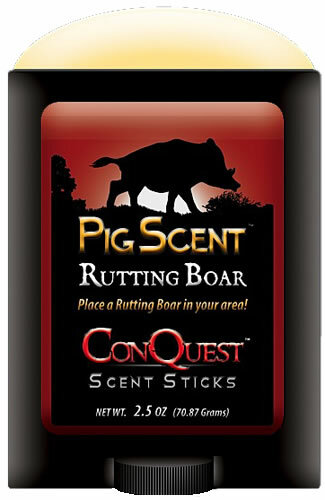 100% rutting boar urine added to their patented stick formula allows the hunter to quickly and quietly place the scent of a Rutting Boar in your hunting area. Simply apply to outdoor surfaces, such as rocks, trees and brush. Re-apply for desired strength. Holds up in extreme weather conditions, with no mess, spilling or leaking.